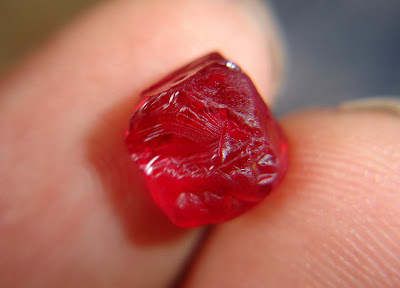 The triumphant announcement of the growing success of the Rangon gem auctions comes after our morally bankrupt “world leaders” called for a boycott on Myanmarese gems. Most of the mines are government owned, with large shares going to individual memebers of the military Junta. The mines supply a world hungry for jade, rubies, diamonds, cat’s- eyes, emeralds, topaz, pearls, sapphires, coral, and yellow garnet. A further horror is that in typical fashion, all the mines have been confiscated from local communities and these same communities are now ’employed’ there as forced labor – mostly women and children. 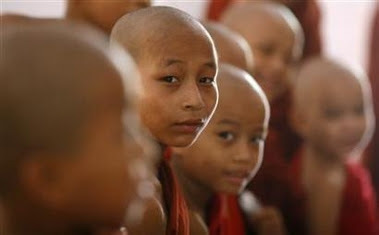 Interestingly, gem exploitation ranks only third in Burma’s export earnings. 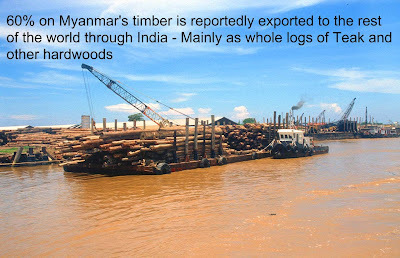 Oil and TIMBER take the lead (no boycott has been called against Burmese timber or oil!). In all three spheres, China studiously ignores all calls for international boycotts and is closely followed (though much more obliquely) by India. While some of the world’s gem trading MNC giants have officially supported the ban, many are also busy exploiting ‘the letter of the law’ and hiding the origins of their gemstones by rerouting the raw Burmese gems to other countries such as India and Sri Lanka in order to muddy the original source. In India, gem traders gleefully line their pockets with the bloody spoils of value addition as they polish and facet the gems to be exported as India’s own (it’s a Rs. 800 billion industry with India processing between 75 and 80% of the world’s gem stones).What a shame that the world’s largest democracy and a supposed champion of human rights would quietly allow their traders to deal with a monster state that makes its money by bleeding a fellow democracy to death.